Depending on your choice, there are various ways to remove wallpaper. For instance, you can steam or spray the wall using certain chemicals. 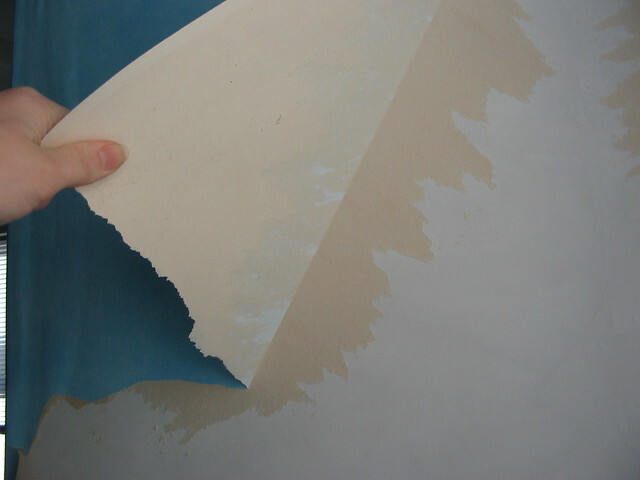 There are cases where wallpaper can be taken out even if they are dry. But then again, it would depend on the kind of wallpaper installed. If there’s a primer prior to installing the wallpaper, you can strip it dry. But if there is no primer, taking it out right away can damage the walls. Step 1: Remove all of the house items or decor on your walls. If you have picture frames or painting works hanging on the wall, take them down. You should also remove furniture. Step 2: Put the crop cloth below in line with the baseboard so once you start removing the wallpaper, it won’t get dirty. Step 3: Using the putty knife to the corner, start to pull the wallpaper. It gets much easier if you are using strippable wallpaper. Just hold the bottom using your hands and remove the entire wallpaper without any hassle. For rough patches, there is the razor scraper. Step 4: There are cases when the wallpaper gets really tough to remove. If this happens, you can use a dish detergent or a liquid concentrate that is specifically created to remove wallpapers. Put the concentrate in the spray bottle and spray it all over the area. Step 5: In order to get rid of spots you have missed, you can use the concentrate and spray it all over the wall. Using a sponge, wipe it on the wall. It is strongly recommended that you use a damp sponge days before you install a new wallpaper. Following these steps makes it easier for you to remove wallpaper without any difficulty. Installing a new wallpaper will surely make your home look nicer.